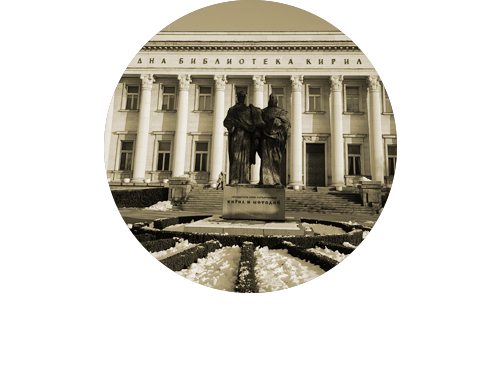 Sofia has been the home of the Bulgarian National Library since 1881. In that time, the building and its historic contents have become treasures with significant national importance. Earlier this year, leading life safety systems manufacturer, Hochiki Europe, was appointed to protect these relics and preserve this slice of Bulgarian History. The library was first founded in 1878 by Mikhail Bobotiniv, a teacher and secretary of the City Council in Sofia, as a cultural and educational resource for the city’s residents. In 1944, a bombing raid during WW2 destroyed the library, and it was almost ten years later that it reopened in 1953, under the new name “Vasil Kolarov”. Now, it is known as St. Cyril and Methodius, named after the creators of the ancient Glagothic alphabet. Sectron Ltd, a security solutions provider based in Sofia, was tasked with replacing the library’s twenty-year-old life safety system which was no longer fit for purpose. Historic buildings often pose a challenge when it comes to specifying life safety solutions, and for the Bulgarian National Library, this was no exception. Project leaders, Sectron Ltd, recognised that it was essential that the installation of a life safety system could offer enhanced performance and reliability without compromising the aesthetics of the building. It was also necessary that the new system had the functionality to network a range of devices, as multiple solutions were required for this installation. Sectron’s safety systems experts specified Hochiki Europe’s hybrid, wireless fire detection range, FIREwave. FIREwave uses the latest radio technology to provide a simple yet effective fire detection solution, with minimal disruption to the fabric of a building. The FIREwave products integrated seamlessly with the cabled fire system, as they too operate on Hochiki Europe’s Enhanced Safety Protocol (ESP). This allowed Sectron more choice when it came to selecting the appropriate field device for the environment. Georgi Kolev, Product Manager at Sectron noted: “The Bulgarian National Library is a jewel in the crown of our capital city. When specifying a new life safety system for this project, we had to address a number of different challenges, from the age and structure of the building, to the need for simple installation and ongoing maintenance. Petia Simeonova, Regional Sales Manager at Hochiki Europe, added: “FIREwave is one of our most flexible product ranges when it comes to architecturally-challenging installations. By removing the need for hard-wired cabling in our life safety systems, we’re able to provide a solution that is ideal for a wide range of buildings, from busy hotels to heritage buildings like the Bulgarian National Library. The installation at Bulgaria National Library was completed in June 2018. To find out more about Hochiki’ Europe’s FIREwave system, visit: www.hochikieurope.com/firewave.